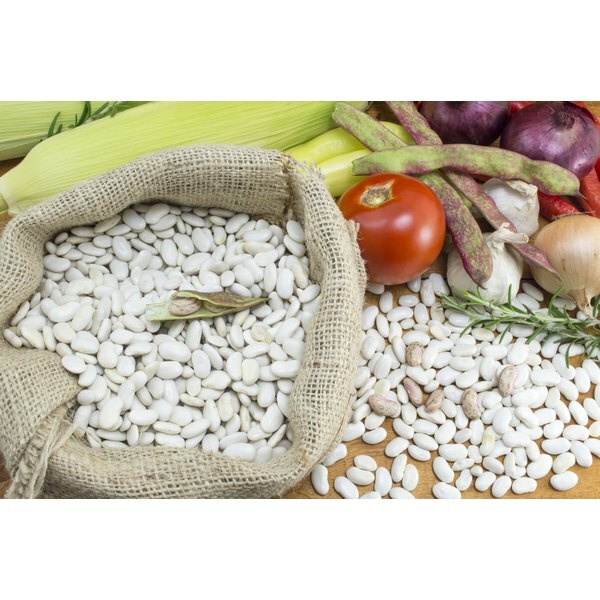 A bag of white beans on a counter with fresh vegetables. 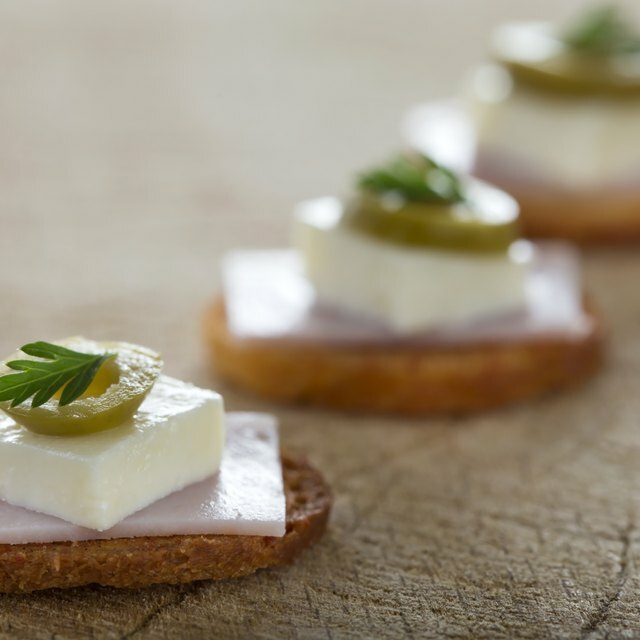 1 What Are the Health Benefits of White Cheddar Cheese? A white bean diet is a weight-loss plan based on the belief that the white kidney bean, also known as phasolus vulgaris, has the ability to block starches from your diet. Such diets generally either encourage the consumption of white beans as part of your diet or include supplements that contain a patented white bean extract known as Phase 2. Further proof is needed to support these claims, and white bean extract is not considered a cure for obesity or any other condition. The fundamental theory of a white bean diet is that white kidney beans or their extracts have the potential to lower the glycemic index of certain high carbohydrate foods. The glycemic index of a food is an assessment of how quickly a carbohydrate increases blood sugar. Foods with a high glycemic index such as simple carbs tend to control hunger less effectively. In a study conducted at the UCLA School of Medicine by Jay Udani and colleagues, Phase 2 white kidney bean extract demonstrated the ability to lower the glycemic index of white bread. Other studies have been conducted on the potential weight-loss benefits of white kidney beans and their extracts. According to one study, conducted at the dell'Università Cattolica di Roma by Leonardo Celleno and colleagues, a dietary supplement containing white kidney bean extract produced significant weight reduction in a group of 60 participants. These subjects, divided into a white bean supplement group and a placebo group, were given either the supplement or placebo prior to eating a high-carb meal. After 30 days, those in the phaseolus vulgaris group lost more body weight, body mass index, and waist/hip/thigh circumference, the study reports. Many diet pills and supplements are available using Phase 2 white kidney bean extract. You should research these products carefully to ensure they are healthy formulations and don't contain added or unnecessary ingredients. According to Ray Sahelian.com, products containing this bean extract are available in powder or capsule form. You can also opt to eat white beans in a whole food form. Although the starch-blocking potential of white kidney bean extracts may seem promising, some experts caution that so many unabsorbed carbohydrates in the body could have unpleasant gastrointestinal effects. According to obesity specialist Carel le Roux in the Daily Mail UK, the unabsorbed food may be excreted from the body through loose stools. Moreover, le Roux speculates that if the carbohydrates are incompletely absorbed, the body may still have the hunger signals that often accompany simple carbs. Phaseolus vulgaris or Phase 2 starch blocker are not proven to be medical treatments for obesity. While some studies may show some potential for this extract, it would be unwise to assume that you can eat refined carbohydrates without restraint and expect white beans to "neutralize" your choices. Keep in mind that a healthy diet and exercise are the best ways to stay in shape. Daily Mail UK: Can Pills Made from White Kidney Beans Help You Lose Weight? Can Tea Build Collagen & Elastin?